Are you tired of all of the work and upkeep that your present home requires? Plus maybe you really just don’t want to own your home at this stage of your life. Take a look at the Hickory Terrace Retirement Community. It is a 55+ Independent Living Townhome Community located in Sycamore. You will find that it is close to shopping, restaurants and several medical complexes. Just East of Rt 64 and Rt 23 and access to I88 is nearby. What more could you ask for? So whether you are 55, 65 or 75+ there is something at Hickory Terrace for you. There will be many new friends just waiting to meet you. Leave the snow shoveling and grass cutting to someone else. Enjoy your retirement! 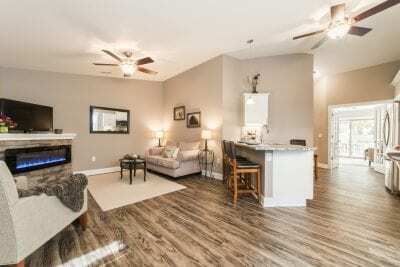 Call and reserve your new townhome and learn about the brand new 55+ retirement community. Contact Kim or Linda 815-901-8303.